The head of China's top judicial tribunal called for enhancing the level of court informatization and promoting the global Internet governance of law in Wuzhen, East China's Zhejiang province on Nov 17. 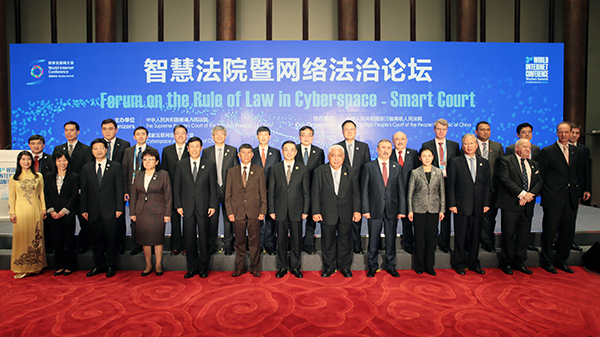 Zhou Qiang, chief justice and president of the Supreme People's Court (SPC) of China gave an opening speech at the Forum on the Rule of Law in Cyberspace: Smart Court opened at the 3rd World Internet Conference (WIC). 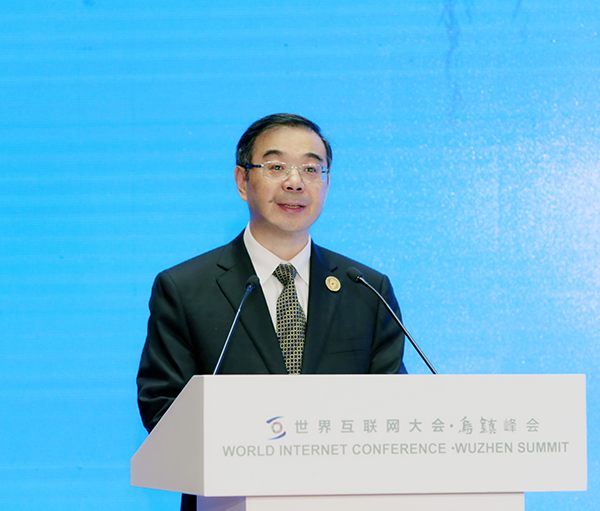 A new round of scientific and technical revolution based on a new core of information technology is unfolding, said Zhou, adding that the Internet has become the driving force of innovative-driven development. It has changed people's life profoundly, and has pushed ahead social progress, said Zhou. Modernization cannot be achieved without informatization. Holding that idea, China is positively integrating into the global trend of Internet development and has made great strides in innovative practice, according to Zhou. Information technology promotes modern judicial practices. Its rapid development is a powerful support to judicial justice and judgment efficiency and thus contributes to social fairness and justice, said Zhou. Over the past few years, the SPC has conducted a profound reform in terms of informatization construction which it has implemented in various sectors, including judgment enforcement and court management, noted the president. Courts in China take advantage of the information system and smart service to make online case filling and open access to trial process and judgment documents a reality, said Zhou. China will further explore state-of-the-art technologies, such as big data, computer clouding, neural networking and machine learning, to build "Smart Courts" as part of the implementation of an artificial intelligence system, said Zhou. At the forum, Zhou made a four-point suggestion on how to push ahead with the strengthening of court informatization. Court officials from across the world, including Shermuhammas Shohiyon, president of the Supreme Court of Tajikistan, Kang Min-koo, chief judge of the Busan District Court of South Korea, and John Tanzer, special representative of the president of the Supreme Court of the United Kingdom attended the Smart Court forum. Senior court officials, including He Rong, vice-president of the SPC and provincial court officials, including Chen Guomeng, president of Zhejiang High People's Court, and Cui Yadong, president of Shanghai High People's Court were also present.